This pressure fryer adopts low -temperature high -pressure principle ,fried food crisp outside and tender inside. The fryer is made of stainless steel , with intelligent control panel in English ,ease to operate. 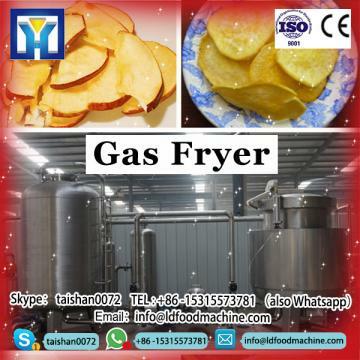 It is widely used in fried foods restaurants, hotel and other catering eatablishments. 1.With Five sections of heating function, the food can get a better colour and lustre. 2.With oil filtration reminding ,when frying for set times,it will alarm to remind filtration. 3.The universal wheels are with brake function ,ease of movement and positioning . 4.All stainless steel body easy to wash and clean ,long service life. 5.Aluminum lid,rugged and lightweight ,easy to open and close. 6. Fryer installed inside a filtration system, several filters,extend the life of frying oil, reduce the cost of oil . 7.The digital display control panel ,more accurate and more beautiful. There are electric and gas styles for your choice,must can satisfy your demand! Factory outlet potato chips pressure fryer have thermostatic temperature control in the temperature range. A safety thermostat and drainage tap to make it easier to clean the machine.Gas fryer:Cast iron burners.Automatic burner ignition by means of an electromagnetic valve,with pilot light and thermocouple. We are a professional western kitchen facility company which mainly specialize in Gas fryer,and we also agent many famous brand kitchen facilities, tableware and other hotel equipment, and all our products selling with wholesale price. our Factory outlet potato chips pressure fryer including western kitchen equipment series and refrigeration series, for instance,Gas fryer ice maker, ice cream machine, dish washer, popcorn machine , coffee machine, fruit juicer , oven, buffet stove, display warmer,and so on.